“You going back home really did it for me. I’m sorry,” Fantasia wrote in an email to Antwaun dated April 16, 2010. A North Carolina court found in favor of the 26-year-old, citing that Antwaun was separated from his wife at the time of the affair — but as the email shows, it very much appears she knew he was still living with his wife, Paula Cook. “No excuses, you made your choice. Deal with it. No love lost her [sic],” Antwaun wrote in response to Fantasia. \n\n\nFantasia Barrino knew her married boyfriend Antwaun Cook was still shacking up with his wife when they started getting it in and their email exchanges can prove it. Radaronline.com got their hands on Fanny’s email exchanges with Cook:\n“You going back home really did it for me. I’m sorry,” Fantasia wrote in an email to Antwaun dated April 16, 2010.\n“How do think I Feel? When your still staying over there… But you telling me you want to Be with me…”\nA North Carolina court found in favor of the 26-year-old, citing that Antwaun was separated from his wife at the time of the affair — but as the email shows, it very much appears she knew he was still living with his wife, Paula Cook.\n“No excuses, you made your choice. Deal with it. 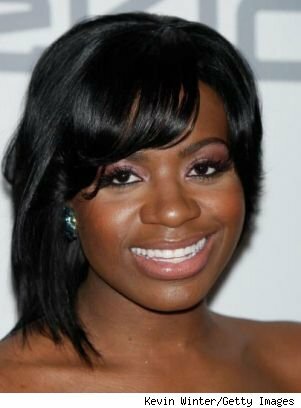 No love lost her [sic],” Antwaun wrote in response to Fantasia.